It was a beautiful day in Utah today—clear skies, warm (warmer than normal for Utah) weather, and I am moving faster than I have in weeks. I’ve mentioned my little ice-slipping incident previously, and ever since then, my tushie has definitely been tender. I didn’t realize how much I like to walk fast! But today, I am pretty much back to my typical stride—woo hoo! I’m tickled to be making progress! Another thing that made today so great was our Board of Directors’ meeting, a quarterly meeting I have with a board of absolutely incredible individuals who inspire, encourage, and enlighten me! Today was the first time in a long time we’ve had all the board members together (with such a group of accomplished people, their calendars are pretty full, and so we often have to settle for less than everyone), and it felt wonderful to spend several valuable hours together with people whom I respect so much. Last year we added two new board members—both female—and these two ladies have brought a new energy to an already-extraordinary group! 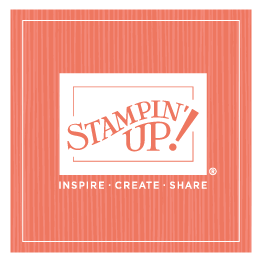 I was especially delighted this morning when one of these ladies walked in carrying her latest creative endeavor, this adorable little Stampin’ Up! bear. I knew the minute she handed this gift to me that I would be sharing tonight; it was so fun to see our product being used in a different way! So, that’s why today was so beautiful in Utah! I hope that wherever you are, your day has been wonderful too!